The backing track for I Want To Tell You was recorded in five takes, the third of which was judged to be best. It had Harrison on lead guitar, Paul McCartney on piano, John Lennon on tambourine and Ringo Starr on drums, all of which were recorded onto one track. 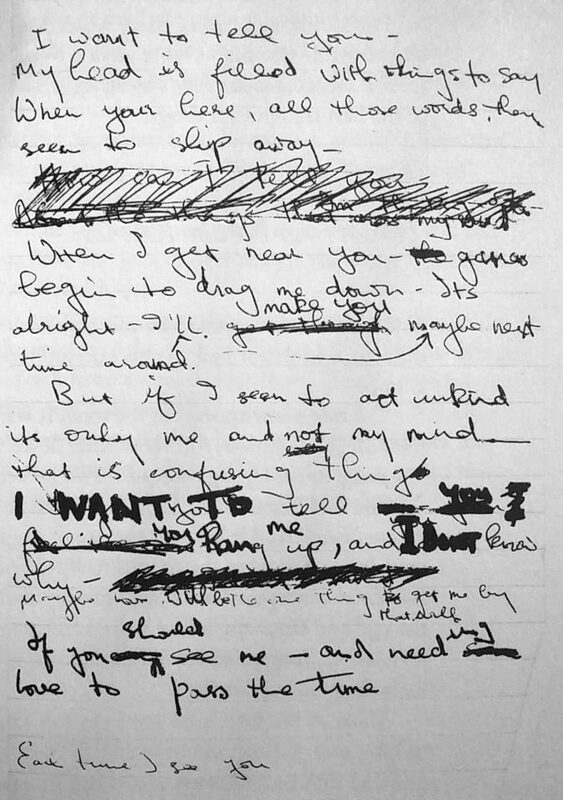 Harrison added his lead vocals onto track two, with backing vocals from Lennon and McCartney on three. The final track was filled with more piano, tambourine and maracas. A reduction mix was then made to create more space on the tape; this was numbered take four, despite takes four and five having been recorded earlier in the session. The new mixed combined the vocals onto a single track, and both instrumental tracks onto another. Recording ended with handclaps added to the final verse, which were recorded onto track three. The song was completed the following day. The final task of the session was a mono mix of Yellow Submarine. This was just a rough mix for reference; a proper attempt was made on the following day. The session ended at 3.30am.